I’m going to Iceland, after all! – Let Us Live Like We Mean It! It’s taken over a year, but I’m finally planning again to go to Iceland, for a week in the summer. That prospect should get me through the winter doldrums! 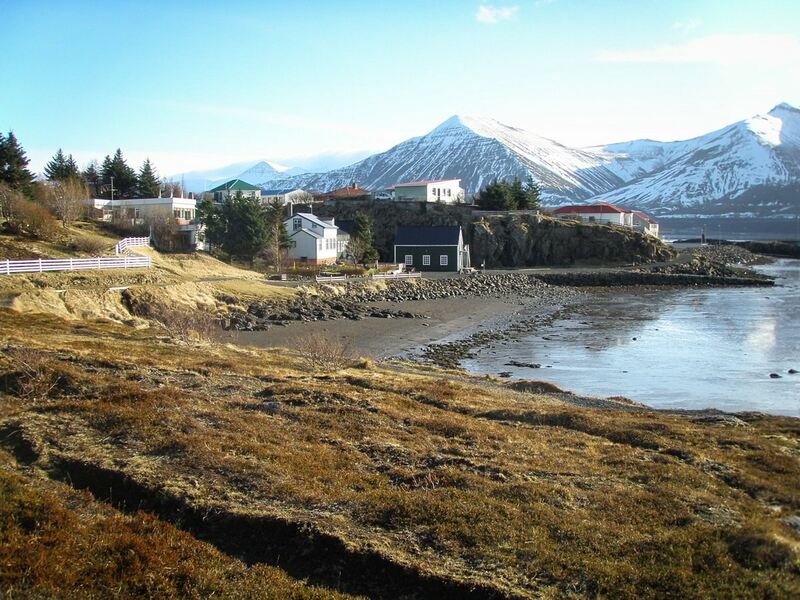 One of the places I will stay is from Laxdaela Saga, my favorite of the many Icelandic family sagas. It is the site of the hot springs where the heroine Gudrun Osvifsdottir and Kjartan Olafsson courted, before their love story went awry. They also went to Eirikstadir, the re-created farmstead of Erik the Red, who was the first known European on Greenland, and his son Leif the Lucky, who most of us Americans know better as Leif Eriksson, possibly the first European to settle on the North American continent, at what is now called L’Anse Aux Meadows, in Newfoundland. I just saw another SCA friend’s photos of L’Anse last night at Sewing Circle. 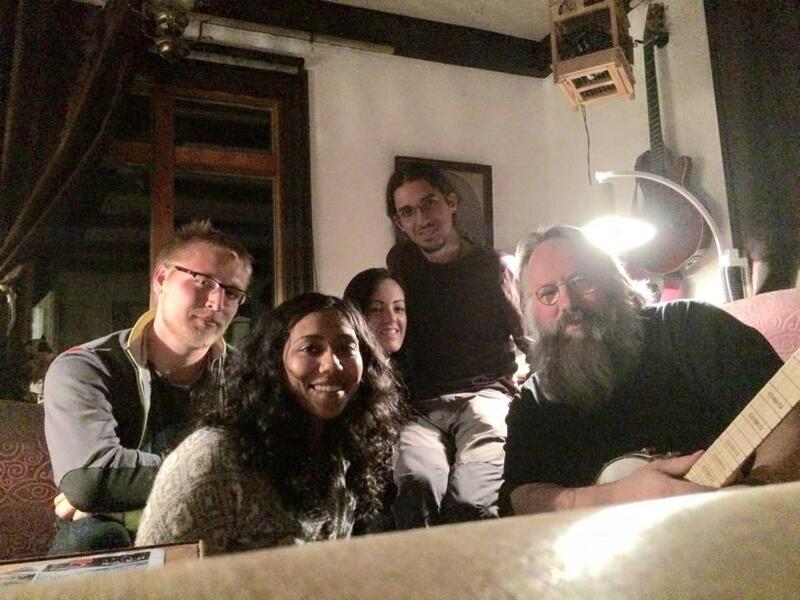 You can find Tom and Orilee’s lovely and informative blog at The Road to Reykjavik. I’m hoping to spend my few days in Iceland “Up West,” with just an afternoon or so in Reykjavik. Given the short amount of time I’ll have, I really want to be in the countryside, because that is where I can daydream about the sagas. 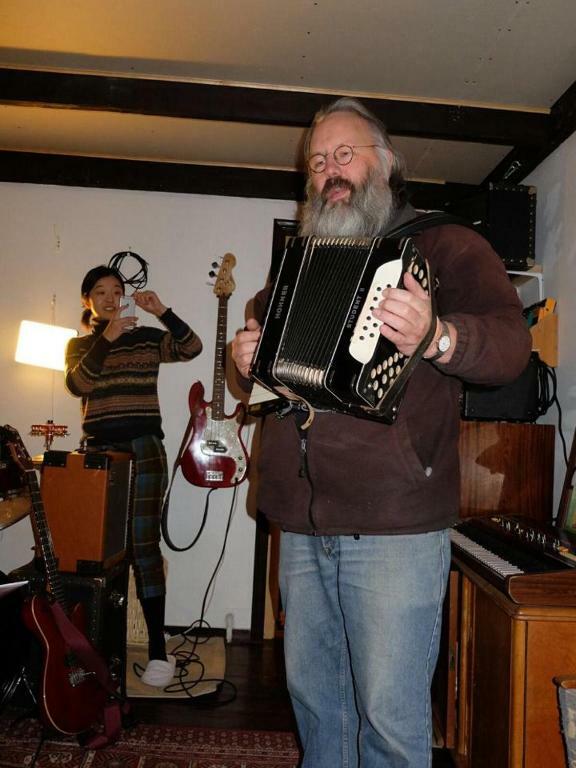 I’ve got my reservations already made for The Hotel Edda in Laugar í Sælingdalar, the place where Gudrun and Kjartan hung out in the hot springs, where Tom and Orilee spent the night last month. Egil Skallagrimsson, about whom Egil’s Saga was written, is a guy I just love to hate, or hate to love, I don’t know which. I guess I’m very ambivalent about him. He was a whacko violent maniac who liked to throw up in people’s beards and killed his first person at age seven, but he was also one of the greatest poets, or skalds, of the Saga era. Although I’m going to be in a hostel, I’m splurging on a private room with en suite bath, the only such facilities I’ll have while I’m there. 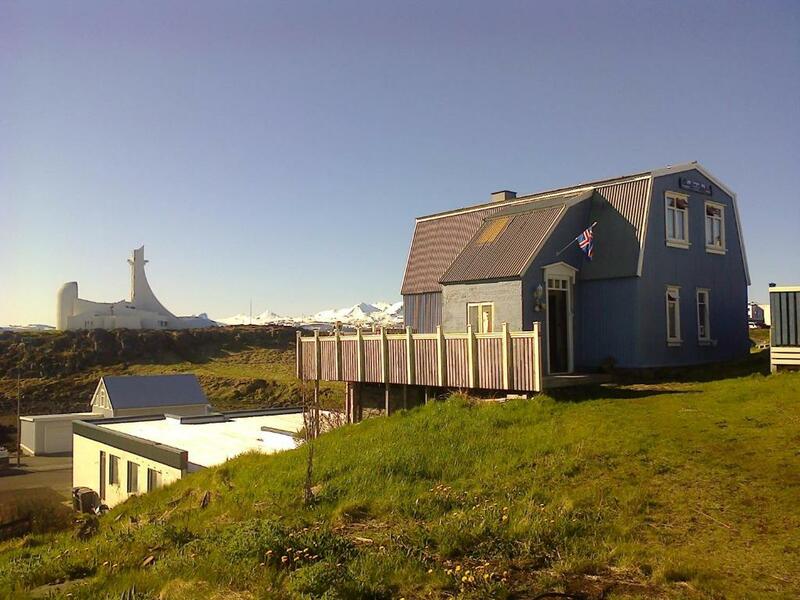 Otherwise I’ll be sharing bathrooms and maybe bedroom with other avid Iceland tourists. I wish I had been in Iceland way back in the day (long before the 21st century) when my best friend Josie spent several months working on a farm in the West Fjords! That would have been really awesome, in the true meaning of the word. 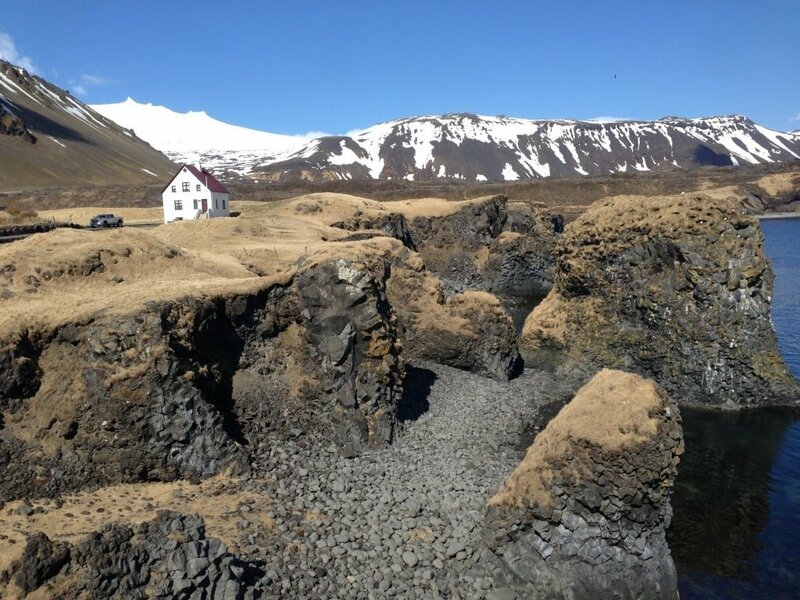 The cool thing about Snaefellsnes is that in one relatively compact area it includes many of the attractions found more famously in other parts of the country: a volcano, a glacier, black sand beaches, small fishing villages, a national park, etc. Tourists like me have discovered it in recent years, but it is not immediately on the Ring Road that circles the country, so hopefully not everyone will be there, at least not when I’m there! The island of Súgandisey is now connected to the mainland at Stykkishólmur. It is also where the ferry Baldur docks. The ferry sails twice daily in the summer months from Breiðafjörður to Brjánslækur, making a stop at the island of Flatey along the way. But Tom and Orilee found the schedule to be a little tricky. There are many other boats, of course, that offer trips around the water of Breiðafjörður, to see the many islands and birds. Since I’m something of a birder, I’ll definitely make time to get out on the water, and I’d better have my binoculars with me! 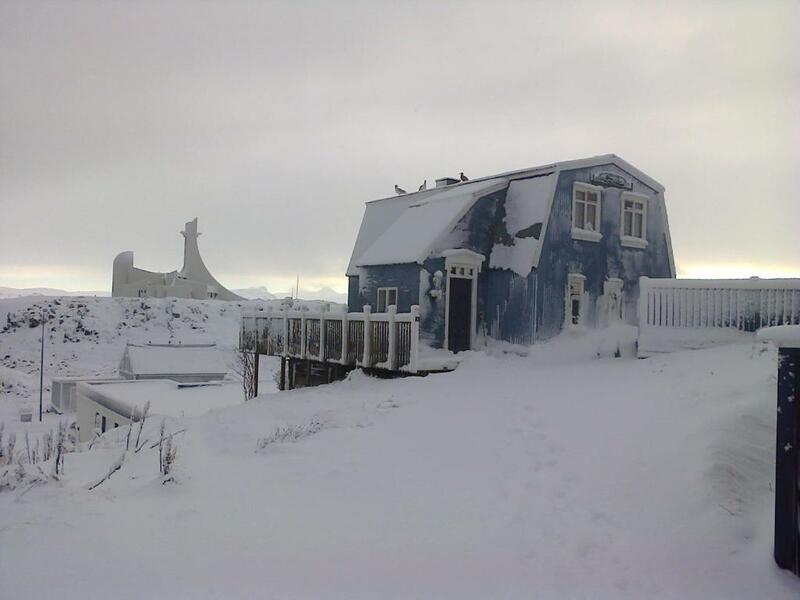 Here’s a very cute house for rent on AirBnB in Stykkisholmur. If I could afford to rent an entire house there, this would be the one! As it is, though, I have found another really nice place there, a private room in a home with a shared bath. It’s called Langey Homestay, and it’s 100 years old. The owner is a musician and storyteller, which sounds like it will be fun. Maybe I’ll get to play some music, too! I love the look of Iceland in the fog and rain, which is good, because that happens a lot there! I would love to see Iceland in the snow! That interesting building in the distance on the left is a modern church! 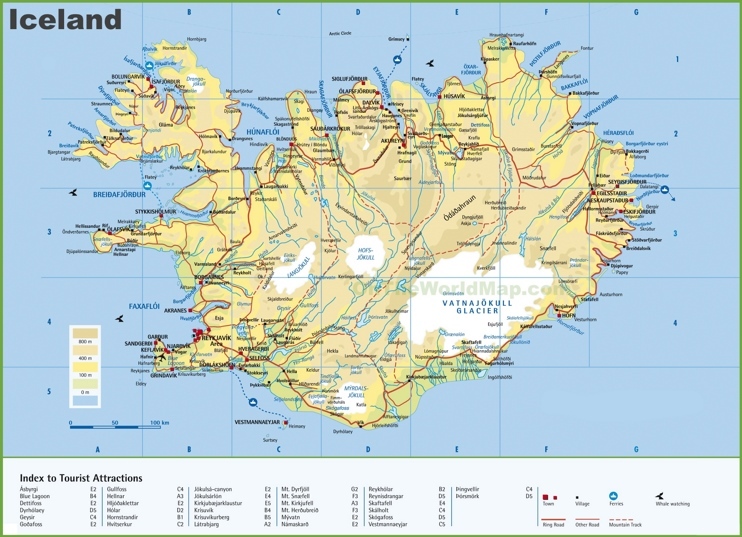 I’m hoping to spend my first and last nights in Iceland not in Reykjavik, but with my friends in the town just to the south of it called Hafnarfjordur, which is also known as the town of the Hidden People (or elves). Although Ólafur and Björg and I haven’t yet met in real life, we corresponded quite a bit when I was planning my trip for May of 2017, the one that got canceled due to my accident. We definitely feel like we know each other. They ran a very highly-rated AirBnB there for years, but now they are selling their large house close to the water and moving to an apartment on the main street of the town. But they’ll still have a spare room to rent to folks they know, and luckily they consider me to be one of them. Now if only their room isn’t already rented for the days I’ll be there. Keep your fingers crossed for me! Next Next post: Rough itinerary for my Iceland week, part one. Looks very beautiful. I am thrilled for you, Timi. Good news. Let’s hope nothing stops you getting there this time. 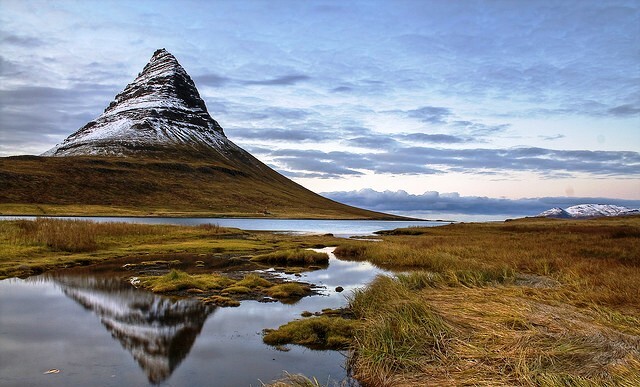 Pingback: Rough itinerary for my Iceland week, part one. – Let Us Live Like We Mean It! Pingback: Zowie: prices in Iceland! – Let Us Live Like We Mean It! Pingback: Oui yogurt and fairies – Let Us Live Like We Mean It! I love Iceland for a long time. I hope that I can visit this country soon. Norway is next on my list!